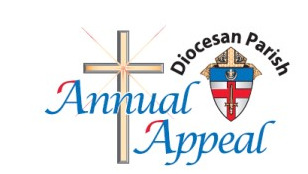 The Diocesan Parish Annual Appeal (better known as the DPAA) is officially underway!!! Last weekend we watched a dvd message from Bishop Foys and this weekend I’ll be speaking at all of the Masses about making a pledge to the DPAA. As we saw from the dvd, the DPAA funds many, many very important ministries throughout our Diocese. We are continually one of the leaders when it comes to charitable giving through the DPAA. I’m always VERY PROUD of our parish because our commitment to helping others is truly outstanding!!! This year I’m increasing my donation to the DPAA by 10% and I’m hoping (begging?) you can do the same. Our goal this year is $106,000, but we want to go wwaaayyyyy over that goal because every dollar over our goal comes right back to MQH for our use!! That is a HUGE benefit. We’ll be using the money that comes back to us to fix the road behind the parish office – if you’ve been back there you know it’s in terrible shape. We need to go about $50,000 over our goal to cover the expense – I know we can do it!!! I hope everyone’s Lent is going well!! One of the questions I get a lot is why is Lent 40 days long. In the Jewish/Christian tradition, the number 40 represents a period of testing or preparation. There were 40 days and nights of rain when Noah was on the Ark, the Israelites wandered in the desert for 40 years before they entered the Promised Land, and Jesus spent 40 days fasting in the desert before beginning his public ministry. But Fr. Kevin, I counted the days and it comes to 46, not 40. That’s because we don’t count Sundays – the 6 Sundays aren’t counted because they’re a kind-of “mini-Easter” celebrating Jesus’ victory over sin and death. Sundays are always a bone of contention during Lent – some argue that we should not take part in our penitential acts on Sunday, others say it’s still a part of Lent. What does Fr. Kevin say? – both ways are fine, so do what your conscience tells you. Also, there are 2 really big feast days coming up (they are Solemnities – the highest ranking of a feast day). This Monday is the Feast of St. Joseph and Saturday is the Annunciation of the Lord – when the angel Gabriel visited the Blessed Mother. These both occur during Lent, but since they are days of joy, you may set aside your Lenten acts on these days, but you don’t have to. I LOVE the NCAA tournament – it’s by far the best sporting event there is!!! How about a great big SHOUT-OUT to the NORSE of NKU for making the NCAA tournament in their first year of eligibility!!! I’m a Norse alum – and am very proud!! I can’t wait to see who this year’s Cinderella’s will be – let the Madness begin!!! My Final Four is, uummm, it’s gonna have a local flavor – NKU, Dayton, Xavier, and …..just kidding. For real – Villanova, Arizona, Louisville, and Butler. Arizona will cut down the nets! !